Watch our scenic video-journey in and around California and San Diego County, site of the 86th ARBA Convention. San Diego is a modern city on the Southern California seacoast known for its ideal climate, miles of beaches, and location on the Mexican border, right across from Tijuana. It has a rich heritage built around sailing and is home to the Pacific Fleet of the United States Navy. It is also well known for its part in the wildlife conservation movement, being home to a SeaWorld theme park and the "world-famous" San Diego Zoo and Wild Animal Park. San Diego is an excellent place to plan a family getaway. and in the later decades of the 19th century the railroad came to San Diego, resulting in further growth of the city and the establishment of Downtown and its surrounding neighborhoods. 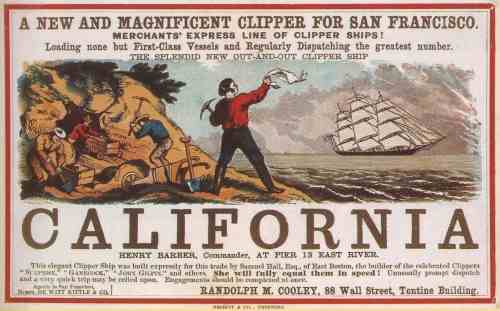 The U.S. Navy discovered San Diego in the early 20th century, and constructed a coaling station on Point Loma in 1907. Ten years later, the Naval Air Station on Coronado island was established, and in later years the Navy would take on an increasingly important role in the city's economy. Today San Diego is home to the Navy's Pacific Fleet, and is a favorite leave location for sailors. The Del Mar Fairgrounds located in North San Diego County features spacious exhibit halls. A surplus of space has been reserved to insure a "low density" showroom. The buildings are well maintained, and have high ceilings. The Open and Youth shows will each be under their own separate roofs and next door to each other. The quality of the showroom setup will be emphasized for the ease of the exhibitor including accommodations for the disabled. The showroom and headquarters hotel are located next door to each other and are near breathtaking views of the Pacific Ocean. The San/Del Mar Hilton is a resort-style facility and is the ARBA headquarters hotel. The Hilton is across the street from the Del Mar fairgrounds. Del Mar is where the "surf meets the turf at old Del Mar" and has been attracting horse racing fans since 1937. Del Mar in Spanish means "the sea". The Del Mar 350 acre horse race track has a Hollywood past. In 1937 it was built and sponsored by Bing Crosby, Pat O'Brien and Paramount Studios. The conception began when Bing Crosby a horse enthusiast and local ranch owner, was asked to organize a meet at Del Mar. He approached the Del Mar Fairgrounds to make a deal with them to build a grandstand and the rest is Hollywood history. Mickey Rooney, Lucille Ball, Desi Arnaz, Jimmy Durante, Dorothy Lamour, Red Skelton, Paulette Goddard and Ava Gardner. 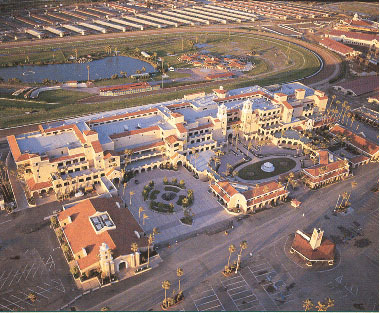 Del Mar's 1993 season marked the opening of a new $80 million grandstand, built in the Spanish mission style of the original structure. The new grandstand features more seats, better race viewing, and a centrally located scenic paddock. The $1 million Pacific Classic, featuring the top horses in the country, is held the second weekend in August. Families and individuals who rarely have vacations can make the convention a two-fold event by including quality "rabbit and cavy time" at the show, and quality "family time" afterwards. San Diego is home to the World Famous San Diego Zoo and Wild Animal Park, Sea World, Lego Land, Balboa Park, Cabrillo National Monument, Tijuana Mexico, Sportfishing, The original California Mission, The Gaslamp Quarter and many other attractions. Never before have ARBA members had the combined opportunity of experiencing excellent show facilities, neighboring headquarters hotel, world class vacation destination and watching the sun set over the Pacific! 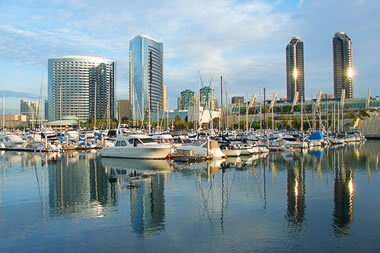 San Diego is ranked as one of the top convention and tourist destinations in the continental United States. The average temperature in San Diego during October and November is 70 degrees with an average rainfall of only .33 inches and an average sunshine of 68%. An ARBA Convention has been held only once before in San Diego in 2001. The closest prior convention to San Diego was the 1926 convention in Anaheim. San Diego is a world class city and, perhaps, one of the largest metropolitan areas in which a convention has been held in recent years. San Diego is a regular host to some of the largest events in the United States including two Superbowls, the Republican National Convention, and the America's Cup Races. was host to the 1916 Pan-American Exposition celebrating San Diego as the first port of call for ships that passed through the completed Panama canal. A small exhibit of exotic animals at the expo grew into what is today, the worlds largest collection of animals, the San Diego Zoo. The Zoo is located in Balboa Park which is also home of the largest collection of museums West of the Mississippi, including the Museum of Photographic Arts, San Diego Aerospace Museum, San Diego Natural History Museum, Reuben H. Fleet Science Center, San Diego Automotive Museum, San Diego Historical Museum, San Diego Fine Art Museum, San Diego Model Railroad Museum, San Diego Museum of Man, San Diego Hall of Champion, the Spreckels Organ Pavilion, and the Timken Art Gallery plus an antique carousel and the world famous Old Globe Theater. San Diego has a rich aerospace history. During World War II, San Diego was the headquarters for Consolidated Vultee Aircraft (Convair) which later became General Dynamics under the direction of Col. Rueben H. Fleet. Convair produced airplanes and airplane components for the allies. During the post war era, Convair produced the Atlas missile for the Man on the Moon program. During the Cold War, San Diego's Convair produced F-16 fighters and was the birthplace of the Cruise Missile. San Diego's aerospace industry has given way to the burgeoning mobile telecommunications industry. San Diego's is termed Telecom Valley as home to Qualcomm, Nokia, Remec and others. San Diego's beaches are breathtaking; from La Jolla to Mission Beach and its 1923, Church and Prior roller coaster; to the grand Hotel Del Coronado, an 1887 Victorian jewel by the sea. San Diego is home to the Scripps Institute of Oceanography which recently opened the multi million dollar Stephen Birch Aquarium. San Diego has many newer attractions and hotels that have been built including the world-famous LegoLand. The CR&CS committee has negotiated affordable hotel rates to allow members from all economic levels the opportunity to attend. San Diego's Lindberg Field has more passenger seat volume and is serviced by more large aircraft than any ARBA convention in recent years. The 2009 ARBA Convention is excited to announce it will be operating the Lobster Lunch in Baja trip which was so popular in 2001. Generally, the trip will be by chartered motor coach from the showroom to the tiny lobster fishing village of Puerto Nuevo (Newport) along the Baja coast 25km (20mi) south of the border. the famous 75ft high Sacred Heart of Jesus statue, and also includes shopping opportunities to bargain at various curio vendors. Full details and tour cost will be published in the official convention catalog this summer. This is the the best way to travel south of the border without travel hassles. Puerto Nuevo-style lobster has been a phenomenon since 1956, when several women in the tiny fishing village south of Rosarito started dropping fresh lobsters into pots of bubbling oil and serving them to a few outsiders. 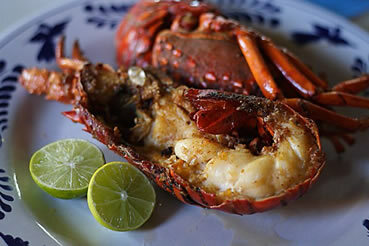 Last year, the still-small-but-now-bustling Puerto Nuevo served more than 672,000 California rock lobsters. When traveling to any foreign country American tourists should be aware of possible dangers or differences in customs. The motor coach tour makes travel to Mexico easy. If you do decide to drive into Mexico with your automobile, be aware that U.S. auto insurance is not valid in Mexico. Visitors are strongly advised to purchase a Mexican auto insurance policy. These can be purchased through AAA or there are many roadside establishments as you approach the border. Proof of US Citizen ship is required upon returning. A passport is not specifically required, but is reccomended. You may wish to consider ordering a US passport at your U.S. Post Office now since it is an easy method of proving your citiznship when crossing the border. If you do not have a passport, you can still cross provided you have a driver's license or military ID and a birth certificate. Since these are the documents needed to obtain a passport , you might as well plan in advance and get one for your crossing convenience. The Department of Homeland Security's simple flyer detailing the acceptable travel documents. The Mardels are to San Diego what Elvis is to Memphis. The Mardels have been a local favorite since the 1980s. The 86th ARBA Convention is proud to bring them back for the 2009! Banquet chairwoman, Trina Carlson sought out the best entertainment for the annual awards banquet to be held Tuesday evening November 3, 2009 at the Del Mar Hilton. Aside from the four-star Marriot gourmet meal; a thought provoking presentation by ARBA President, Dr. Chris Hayhow; and a limited edition collectible event souvenir for each attendee, the crowd will be treated to the great music of the Mar Dels! San Diego's most well-known and loved nostalgia band. 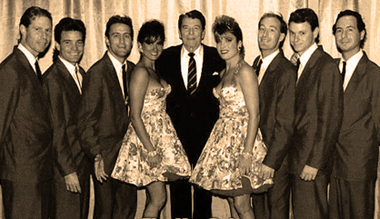 Since 1982 this popular seven-piece group has been performing dynamic renditions of the best music from the 50's - 70's. The band has now expanded its repertoire to include select hits from the 80's and 90's as well as swing standards from the 40's. 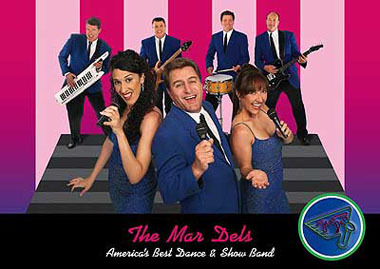 Because of their unique versatility The Fabulous Mar Dels are the perfect group for our event. Audiences are always delighted with their outstanding choice of swing, rock, and Motown classics. 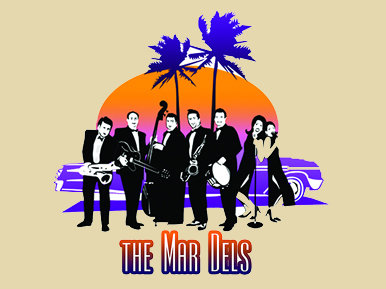 When The Mar Dels take the stage, you can feel the magic in the air! The Mardell's earned their place in San Diego rock history for their regualr performances over the years at the famous Belly-Up tavern in Solana Beach. 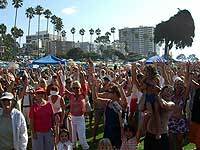 They are also regulars at many civic events, beach parties and at the first rate Hotel Del Coronado. If you like the music of Elvis Presley, Aretha Franklin, Jerry Lee Lewis, Sam and Dave, Buddy Holly, Van Morrison, Whitney Houston, Patsy Cline, Steppenwolf, Frank Sinatra, Glen Miller, The Doors, The Ventures, The Platters, The Stones, The Stray Cats, The B-52's, and The Village People, the Mardells do that and much more! Bring your vintage apparel and dancing shoes for a spectacular good time! For more information on the ARBA Banquet, please reserve your copy of the ARBA Convention catalog which will have the menu, program, cast and all other details. The banquet sold out last time so reserve your tickets before the convention. 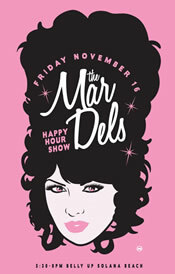 Today, the Mardell's are a San Diego classic and a treat for every fan! Back by popular demand, we will be offering a ARBA Night at the Casino at our local Sycuan casino. The Kumeyay Indian Tribe operates a state-of-the-art Las Vegas style casino with possibly the best gourmet Prime Rib dinner served at any casino. 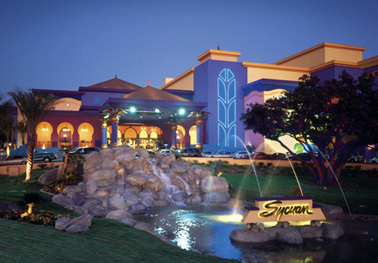 In addition, Sycuans Oasis Buffet features an incredible variety of delicious soups, salads, entrees and desserts. Enjoy cuisine from around the world from our Asian, Italian, Mexican and traditional American food stations. Our buffet also includes, peel ‘n eat shrimp and a Specialty station that changes daily. Bring your appetite — it’s all-you-can-eat! The casion recently complted a 55 million dollar new facility. 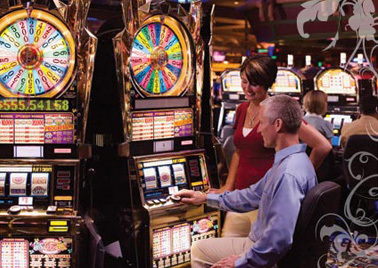 The casino has all of the features of a Las Vegas style casino. ARBA attendees will take chartered motor coach transportation through San Diego's hilly back-country to the Sycuaan Casino for a scumptious quality prime rib dinner, all-you can drink-beverages, and complimentery starter playing money for an incredibly low price. casino is sealed off from the rest of the casino with heavy glass doors. The Casino Night will be held Monday, November 2 and the bus will depart from the fairgrounds directly to the casino. 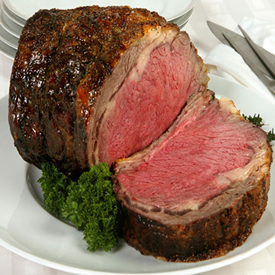 The Sycuan Prime Rib was voted best in the county. For more information including dates, times and cost on the ARBA Casino Night, please reserve your copy of the ARBA Convention catalog which will have the menu, program, cast and all other details. The Casino Night sold out last time so reserve your tickets before the convention. The largest collection of museums in the western United States. Site of the 1916 PanAm Expo. 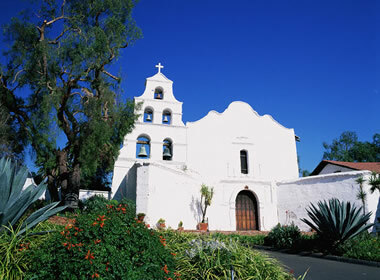 Mission San Diego de Alcala, the first church in California and the Mission San Luis Rey in Northern San Diego County, the "King" of California Missions. 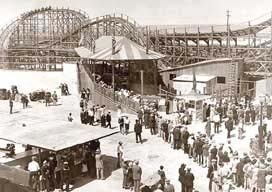 The 1925 Prior and Church roller coaster has been fully restored for exciting thrills! One of San Diego's first brick buildings which served as the first town hall and courthouse. 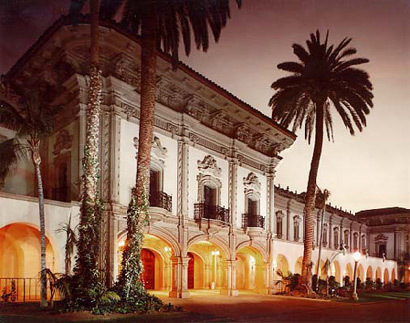 The historic landmark is one of only thirty in the nation registered as "haunted" with the United States Department of Commerce.